The 2015 Chevrolet Cruze and the 2015 Ford Focus are both popular family cars in the Glendale Heights and Bloomingdale area. But which one of them is right for your family? Read on to see how the Focus and the Cruze differ. The 2015 Chevrolet Cruze features a base gasoline engine competitive with the 2016 Ford Focus, but the real draw is the diesel engine. The Cruze Diesel features a turbocharged 2.0L four-cylinder diesel engine, which produces 151 hp and 264 lb-feet of torque. You’ll get a six-speed automatic transmission on this engine. However, the greatest part of the diesel engine might be the excellent fuel economy, which tops out at 46 highway mpg. 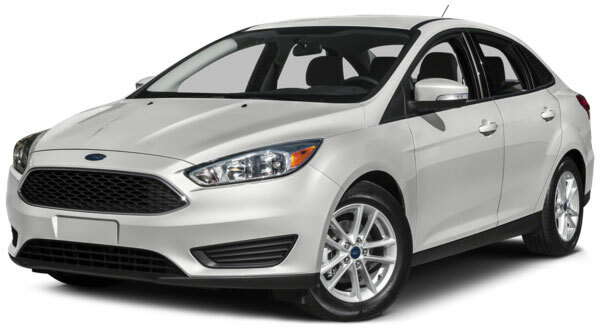 The highest highway mpg that any of the 2015 Ford Focus engines garner is 40 mpg with the Ford EcoBoost; the torque on this engine is only 148 lb-feet. The 2015 Chevrolet Cruze has several feature advantages over the 2015 Ford Focus. You’ll get basic convenience features like daytime running lamps and remote keyless start. You’ll also get the Chevrolet OnStar telematics system, which is a whole suite of electronic systems in one. You’ll get safety features like immediate crash assistance and roadside assistance, as well as navigation aid like Directions and Connections. OnStar also features car monitoring features like tire pressure and oil level monitoring. Most impressively, you’ll get a 4G Wi-Fi hotspot with your car! The Cruze features six different trim levels, so you can get features like a rearview camera, leather upholstery and heated front seats, low-rolling resistance tires and aerodynamic enhancements, and a sport-tuned suspension. The 2016 Ford Focus has similar features, but only three main trim levels available, which means a much smaller number of choices; instead of different trims, the Focus adds optional packages which cost more per trim level for the same enhancements and necessary features. The 2015 Chevrolet Cruze got a five-star rating in the frontal impact protection category in government crash tests, while the 2015 Ford Focus only garnered four stars in this category. The Cruze also stopped entirely from 60 mph in just 120 feet, which is better than the average distance for this category of car and better than the 2015 Ford Focus’s 108 feet. The 2015 Chevrolet Cruze features an upscale cabin with simple and intuitive menus and controls. The cargo space is 15 cubic feet in the trunk, which is impressive for this category of car. The 2015 Ford Focus only has 13.3 cubic feet in the trunk, which is under par for this class of car. We know that the 2015 Chevrolet Cruze will be just right for your family! 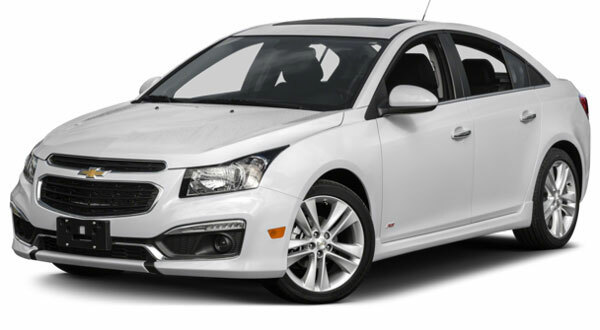 To test drive the 2015 Chevrolet Cruze at Sunrise Chevrolet, contact us for an appointment today. We’re located about 10 minutes from Bloomingdale in Glendale Heights at 414 E. North Avenue.